The package arrived quickly, and with a cheery note on the outside. I don’t know if this was just for the benefit of the reviewer, or if they do this for all packets they send out (I suspect the former), but it was a sweet touch. Inside was a package of ground coffee, which smelt amazing! 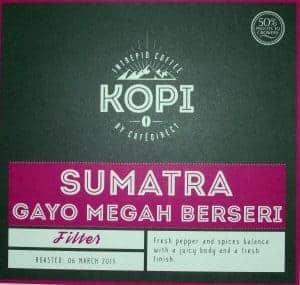 According to the accompanying tasting notes, it was Gayo Megah Berseri from Sumatra. The tasting notes themselves were incredibly comprehensive – they told me all about how the coffee itself was prepared, including where the berries were grown, harvested, and ground. 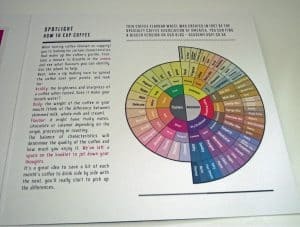 There was also a very handy tasting guide for coffee novices like me, explaining exactly how I could get the best from the experience I had been sent. On the back was a space for my own notes, and an invitation to leave feedback with KOPI via their website and other social media platforms. Customer satisfaction certainly seems to be very high on the list for KOPI – each subscription plan is open to customisation so the subscriber gets the very best experience possible. You can choose from a ‘rolling’ contract, cancelling at any time, or you can buy one of the longer-term contracts, meaning a saving on the cost of each package you receive. 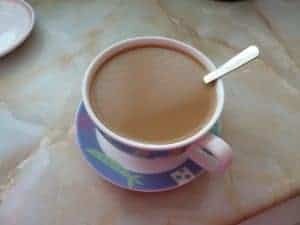 They are happy to let you skip a month if you prefer to, and top up your supply of a particular coffee if you find an absolute favourite. You can even choose whether to receive your coffee as beans, or ready ground, depending on how you prepare it. At a price from 33p per cup, with free postage within the UK, it’s an affordable treat through your letterbox (literally – the package fits through the letterbox, so you’ll never find the ‘red card of doom’ on your doormat) every month. And, because the beans are organic and FairTrade certified, there’s no guilt involved! Paople at Kopi are dedicated to bringing to their customers outstanding single-origin coffees from around the world. At Kopi they love their coffees. They have won a gold Great Taste award from the Guild of Fine Foods for their Cuba Serano Superior coffee. 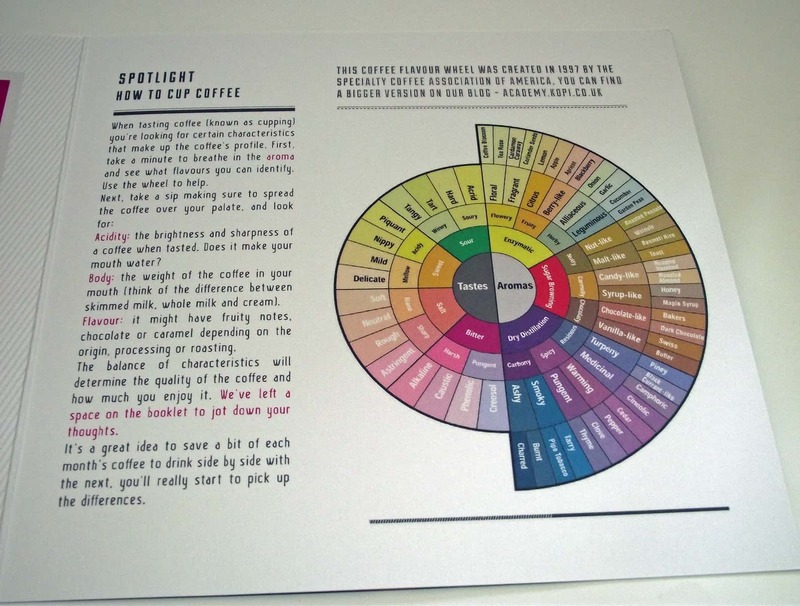 From the customer point of view you receive a 250g bag of a coffee every month with a booklet including tips and tasting notes. It is a discovery box, don’t forget. The coffee you receive is roasted with in 12 days of sending and the day of roast is written on the coffee. This guarantees you a freshness that you won’t find in your local store. £8.95 per month with shipping included. 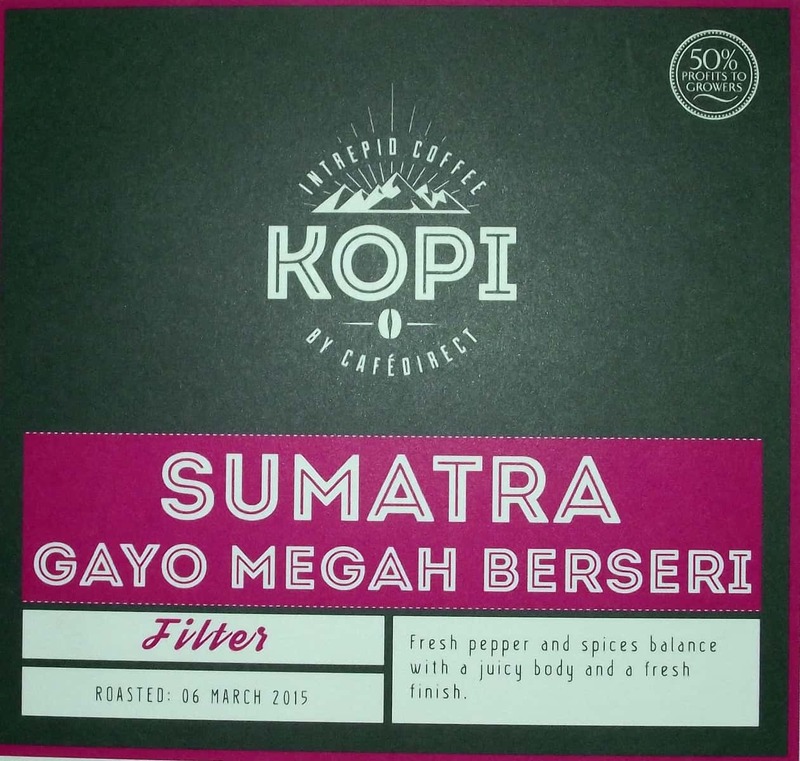 How would you rate Kopi – outstanding single-origin coffee box ?